Flight time 12 hrs, 30 mins from the UK. 3 hrs from NYC. Discover the magic of South Carolina as we lead you on a five-night jaunt around Charleston. Rich in food, history, art and nature – around every corner Charleston has a story to discover. From horse-drawn carriages to sunset heli rides, touring ornate colonial mansions to spotting dolphins in wild waterways, and with enough gastronomic gems to fulfil every gourmand’s dreams: prepare to lose yourself in the tales of this storied southern belle. Steeped in rich and irreplaceable heritage, there’s no greater story in Charleston than the one history tells. As soon as you land we’ll have you chauffeured to your suite at your gorgeous hotel, itself a piece of living history filled with artefacts and stories. After some post-flight downtime, you’re ready to immerse yourself in the city’s charm with a private tour of Charleston’s cobblestone streets. Gaze upon the many spired churches, pretty pastel-coloured buildings, and sun-drenched battery—where the first shots of the civil war were fired—before heading to the Nathaniel Russel House Museum, one of America’s most important and exquisite neoclassical dwellings. Everywhere you step, you’ll be captivated by the diverse architecture that tells the tale of the city’s past. As dusk falls, your own story is only just beginning. Indulge in classic Southern dishes at Circa 1886. Housed on the grounds of the historic Wentworth Mansion, you’ll feel like you’ve entered an elegant bygone era as you dine. After, take a horse-drawn ride along Charleston’s picturesque waterfront at night, the year-round warm air keeping you snug, accompanied by the scent of azaleas and jasmine. The perfect happily ever after. The next day, enjoy Charleston at a slower pace. Savour a luxurious lie in and breakfast in bed, or if it’s a Sunday, head over for a Gospel Brunch for a morning of live gospel chorus and deep-South fare; you’re in the Holy City after all. In the afternoon, travel south to Wadmalaw Island. Dating back to 1666 when explorer Captain Robert Sandford and his crew first landed and ‘discovered’ the Carolina coast, today the island is home to the Charleston Tea Plantation. Here you’ll learn first-hand how tea is made and wander beneath drooping oak trees and through beautiful tea fields. Feeling cultured out? It’s just a short drive back to town or Folly Beach to unwind on the sands and watch surfers catch the waves. End at Charleston’s original farm-to-table superstar, FIG, a delicious finale to your historical journey. Charleston’s remarkable culinary scene has been the most recent story putting this city on the map, and for good reason. Home to world-famous chefs and award-winning restaurants, you could spend days sampling the gastronomic haunts in this city. Rich and flavoursome Southern plates abound, so for your next chapter in Charleston, get ready to indulge. Try Charleston Grill for classic dishes like seared flounder with buttery shrimp and grits, or head to The Macintosh for their ‘Deckle’ bone marrow bread pudding and Mac Burger—go-to favourites of local patrons. 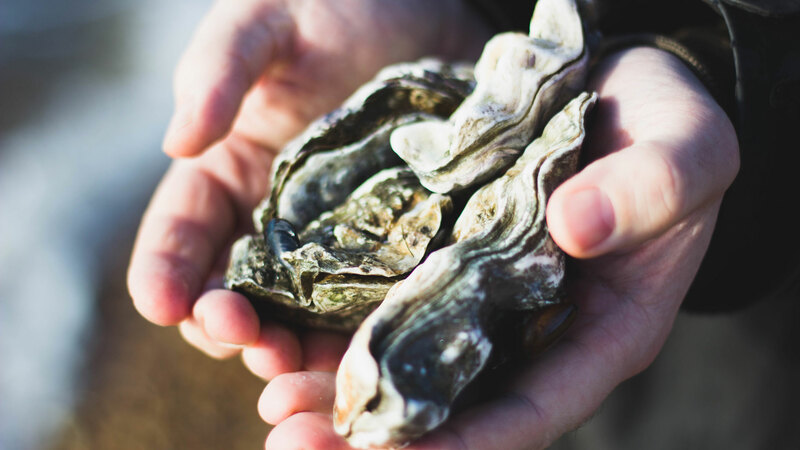 When oyster season arrives, beeline to The Ordinary for crispy oyster sliders or a shellfish tower. Then waltz over to The Watch rooftop bar and enjoy a cocktail or two (we recommend the ‘Greyhound Cadet’), whilst taking in the sunset over the city’s church spires. Want to see a Charleston story that many overlook? Swap city slicking for canoe paddling as you head into its wilderness. This is a water town, surrounded by saltwater creeks, estuaries and islands just waiting to be discovered. A short drive from downtown and you’re aboard a motorboat zipping through marshlands for a half-day kayak or canoe tour. With a skilled naturalist as your personal guide, you’ll be in safe hands as you spot dolphins, manatees and pelicans and navigate oyster beds, backwaters or fields of Spartina. Feel yourself leave the city behind in your search for Loggerhead Sea Turtles, with countless egrets and herons flying over you. If you’re looking for a true adventure story, spend the night camping on the beach at Capers Island. 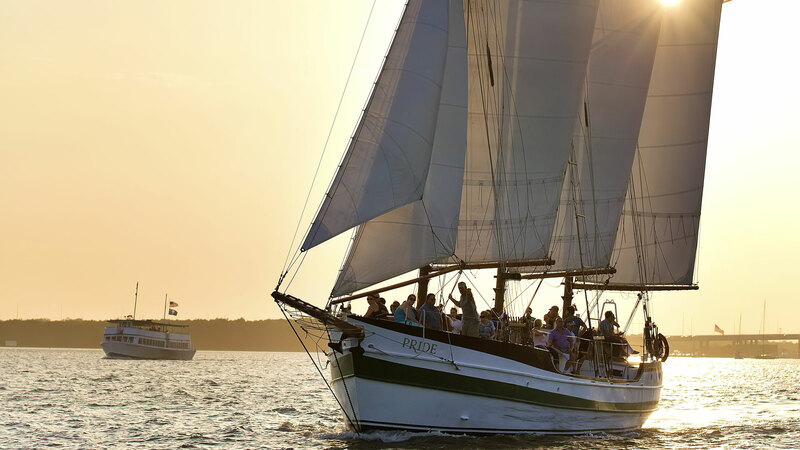 This is a rustic outdoors experience, but as the sun sets and you enjoy a campfire dinner of freshly caught blue crabs beneath the stars, and a cool night-time dip in the glow of bioluminescent waters before falling asleep to nature’s silence—we promise you that this will be one of your most memorable Charleston experiences. Wake up to the sun gently rising above the water like a blushing southern belle. Soak up the calm with some morning yoga and breakfast before heading back to town. Spend some time shopping in King Street—with chic boutiques and contemporary art galleries, this is where new and old Charleston collide. For jewellery lovers, a visit to the Croghan’s Jewel Box is not to be missed. Owned by one family for an entire generation, step inside and browse the old antique jewels or pick up a piece from the beautiful modern Goldbug collection hand-designed by Mini Hay, granddaughter of the store’s founder, who is fast becoming a local designer-to-watch. Once you’ve shopped ’til you’ve dropped, head over to The Spa at Belmond Charleston Place for the ultimate pamper session. Now, for the ultimate fairy-tale ending. Freshly rejuvenated and energised, you’ll be picked up for a private sunset helicopter flight over the city. As you soar above, marvel at the stunning views of the city turned golden by the setting sun as you sip champagne and reflect on the incredible stories you’ll take home from what can only be the jewel of South Carolina’s crown.